Wow. What a terrible idea. I’m sure some genius will make a drop in digital version of this for the Glock soon enough. Is this intended to make your revolver into a camera INSTEAD of a gun, or is it supposed to take a picture at the same time the gun fires? Maybe it’s supposed to be installed on police officers’ weapons or something for evidence purposes. Good call chase… I initially though it was supposed to make the gun a camera… although a couple of the commenters below say its for taking a picture of what you are shooting at. Why? Who the hell wants an exploding camera? 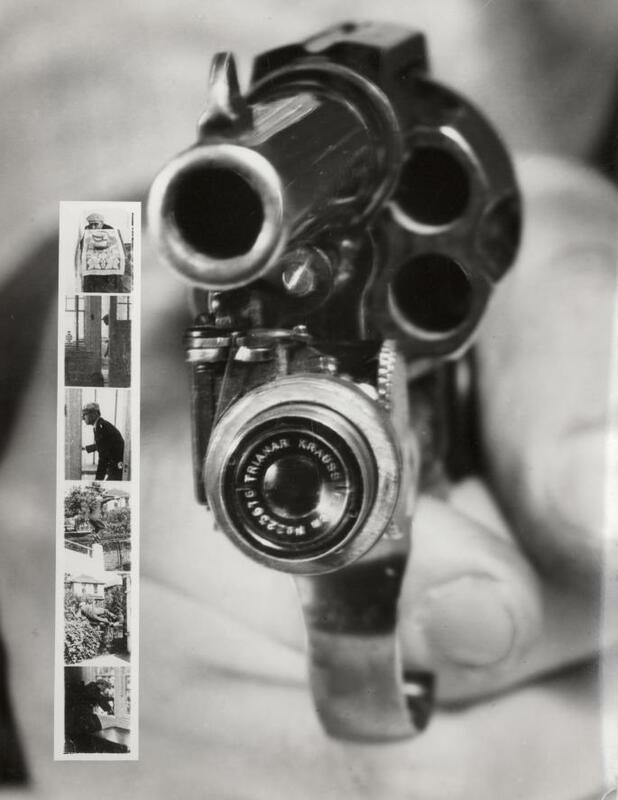 The main reason the revolver camera was invented was to make the defense of one’s actions in court easier. The idea was that since the camera took a picture when the revolver’s trigger was pulled, the shooter gained photographic witness to what the assailant was doing when the shot(s) were fired. This way, if the attacker had pulled a gun, the owner of the revolver camera could show the photographs proving such, and thus justify his/her use of lethal force. Interesting idea. Must have a pretty quick shutter speed otherwise all the pictures would turn out terribly blurry. You know how boring 500 digital pics of me shooting at the range would be to look at? Burris has had this for some time now. Like someone said above, yes, the point was to have a photo, or video defense should deadly physical force be needed. LOL that thing looks hilarious on a handgun in those pics. I’d rather an EoTech or Aimpoint, ACOG with one. I’d also want one that’s mechanically connected to the gun in case under stress you just fire, not turning the thing on. Yea hopefully someday the camera can be worked into the optics without adding any extra bulkiness. Smile, Look into camera, Wait for the flash….